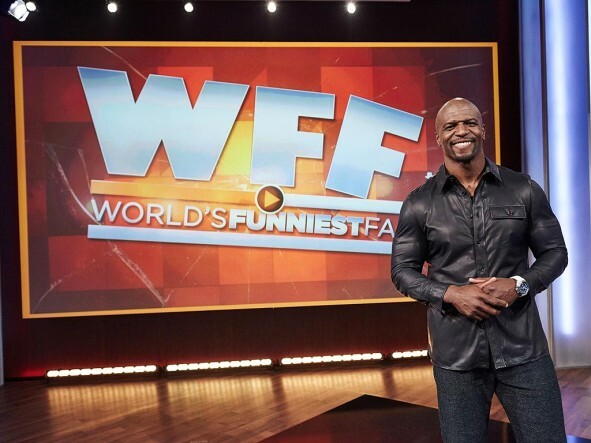 Hosted by Terry Crews, this “amateur video” TV series was inspired by the YouTube channel FailArmy which showcases the best “epic fail” viral videos. Unlike America’s Funniest Home Videos, this series doesn’t accept submissions from the home audience. What do you think? Do you like the World’s Funniest Fails TV show? Do you think it should be cancelled or renewed for another season? Love the show very funny, love Terry Crews he does the best with what he has to work with. Don’t cancel the show give it time to capture a larger audience. Maybe it’s a guilty pleasure but I love it! I laugh at not only the videos but the commentaries as well when the stars are picking faves! Most of the videos shown have been shown many times before on TV. Format is lame and “stars” are unknown and lame. Sorry but won’t be watching it again. I’ve seen a lot of these videos before. Not really all that interested in seeing them again in a different format.